Period Cramps? Contraceptive Can be a Good solution! For a woman, painful periods are a common phenomenon. Because of this, people often ignore the health issues related to it. There are solutions available; however, a woman needs to understand the difference between normal period pain and which type of cramps can be a trouble call for her. Dysmenorrhea is a medical term for menstruation pain or periods cramps. If you’re suffering through such painful periods, there’s nothing abnormal as it is one of the expected symptoms of a period. Try studying the various reasons behind severe painful menstruation. Extreme cases can be a serious issue; however, there are various treatments obtainable to cure the problem. The cells from the lining of the uterus getting bigger into the muscles of the uterus. Rare cases may have periods cramps due to the muscle of uterus is growing fibroids. Prostaglandin, a substance released from the uterus during periods may be increasing. As a result, its muscles contract irregularly causing intense pain. All that being said, your menstruation pain does have various solutions available to reduce your abdominal cramps during your menstrual cycle. If you are suffering from abnormal period pain, consult your gynec/ physician or health provider for a right treatment. 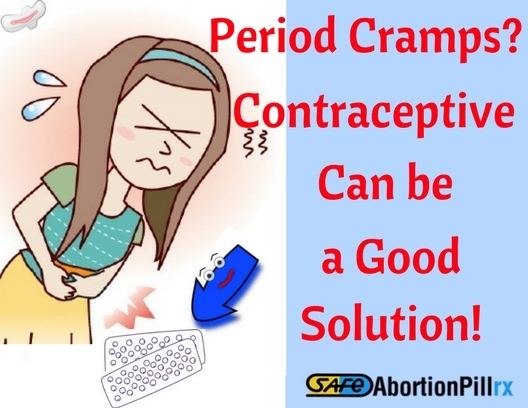 The regular period cramps issues can be resolved through following ways. Make your periods less painful. You can buy Loette contraceptive pill or even other birth controls can help reduce your menstrual period cramps. Birth control pills are easily available at nearby stores or buy it online would be a better and easier option. You can administer these pills right on the first day of your menstrual periods. Besides, undergoing birth control medication makes it easier to predict your menstrual periods and reducing the pain as well, which is a win-win. For reducing menstrual pain, birth control medications have proven to be a better option than over-the-counter medicines. All the birth control methods help to make your periods lighter and less painful. The lining of the uterus gets thinner when you are undergoing birth control methods. As a result of this, there’s tissue in the uterus to pass making periods lighter. Fewer periods is a desire that may seem scary but is safe if you choose a right way for it. Ovral, Nuvaring, Loette are some of the contraceptives which you could consider to reduce the number of periods in a year. When you administer the thirteen-week birth medication throughout the year, it can help to reduce the number of periods to 3-4 times in a year. It is completely safe to skip your menstrual cycle this way. Further, Birth control methods do not affect your fertility. When you stop taking contraceptive medicines or remove the vaginal ring, you’ll get back to the normal fertility phase wherein you’re capable of getting pregnant. Birth control has many other benefits apart from reducing your period cramps problems. Women need to be educated about dealing with the basic women health issues. Ignorance is never a solution for healthcare. This entry was posted in birth control pills, Nuvaring, womens Health and tagged buy Nuvaring online, loette contraceptive pills .